BJP won 44 seats, Congress restricted on 21, CPM won Theog assembly segment and Independent won two seats in Himachal Elections 2017. Shimla: BJP has registered thumping victory in Himachal Elections 2017. 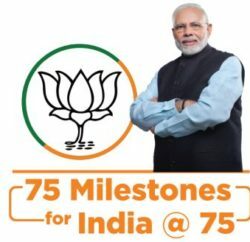 The saffron outfit has won 44 seats in 68 assembly house, while Congress could win 21 seats and independent candidates could win 3 and CPM win Theog assembly segment. Two independent candidate (Prakash Rana from Joginder Nagar and Hoshiyar Singh from Dehra assembly constituencies) surprised everyone by defeating two BJP stalwart and former ministers. 37, 21,647 electors had exercised their franchise and out of it BJP got 18,40,377 i.e. 48.8 percent vote share, while Congress got 15,73,101 votes (41.7 percent) vote share in the election. 34,230 electorates used NOTA option. Kangra and Mandi districts has given overwhelming support to saffron outfit. 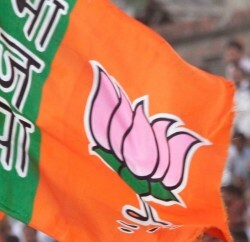 BJP won 9 out of 10 seats in Mandi and 11 seats in Kangra District. Surprisingly Prime Minister Narender Modi had campaigned in Palampur and Fatehpur constituencies and BJP candidates lost both seats. From Chopal assembly constituency BJP candidate Balbir Singh Verma defeated Congress’ Subhash Manglate convincingly. 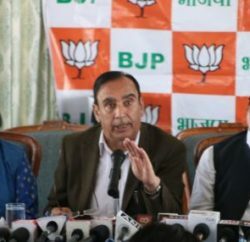 While Suresh Bhardwaj succeeded to retain Shimla Urban seat and Narinder Bragta, in a close contest, defeated Congress’ Rohit Thakur tender margin of 1062 votes. Congress retain its supremacy in Rohru and Rampur constituency, but comes humiliating fourth in Shimla Urban (Harbhajan Singh Bhajji voted only 2680) and Rahul Gandhi’s imposed Candidate Deepak Rathore comes 3rd in Theog segment. Congress has made surprising inroad in Hamirpur District. Party has won three out of five seats. Congress state president Sukhvinder Singh Sukhu, Inderdutt Lakhanpal and Rajinder Rana have won their seat. Grand Old party has also gained in Solan district where it won 3 seats out of 5. Virbhadra Singh registered comfortable win (6051 votes) from Arki and party also succeeded to retain Solan seats and also won Nalagarh seat. BJP won two seats (Kasauli and Doon) in Solan district. 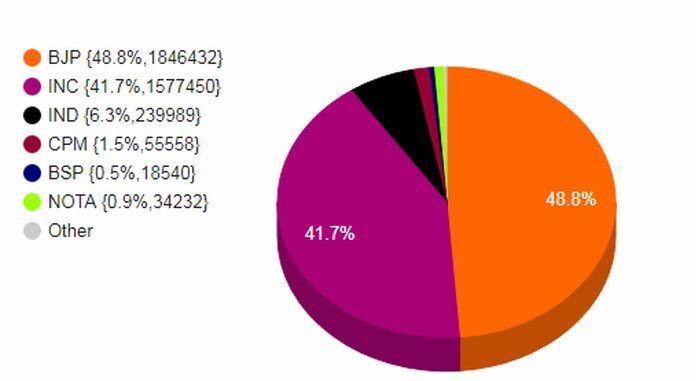 However, BJP outsmart Congress in Bilaspur (BJP 3 and Congress 1), Una (BJP 4 and Congress 1), Sirmour (BJP 3 and Congress 2), Kullu (BJP 3 and Congress 1) and Chamba (BJP 4 and Congress 1) districts. Vikramaditya Singh, son of Congress veteran leader Virbhadra Singh win his maiden election. He defeated BJP’s Dr. Pramod Sharma by 4880 margin. Singh polled 28275 while Dr Sharma got 23395 votes. Prem Kumar Dhumal: BJP Chief Ministerial candidate Prem Kumar Dhumal has lost election to Congress’ Rajinder Rana by 1919 votes. Former two times Chief Minister Prem Kumar Dhumal was shifted from Hamirpur constituency to adjoining Sujanpur. Himachal Elections 2017 has some interesting results as five Cabinet Ministers have even failed retain their assembly seats. Veteran Congress leader Kaul Singh Thakur, who had not lost any assembly election since 1977 was defeated by BJP leader Jwahar Thakur. GS Bali, one of Chief Minister Post aspirant also lost to BJP candidate. Sudhir Sharma, Prakash Chaudhary and Thakur Singh Bharmouri also failed to win electorates favor. Four ministers of Virbhadra Government Mukesh Agnihotri, Sujan Singh Pathania, Col Dhani Ram Shandil won election on Congress ticket, while Anil Sharma, who had switched side just before the election also registered thumping victory in the election. Four Chief Parliamentary Secretary also failed to retain their seats. Rohit Thakur, Jagjiwan Pal, Sohan Lal and Mansa Ram. Rakesh Kalia also lost his election from Gagret assembly constituency. BJP state president Satpal Singh Satti also failed to retain his Una seat and the other former state party chief Maheshwar Singh also lost his election. Former Minister Gulab Singh Thakur also lost election from Jogindernagar constituency. He lost to independent candidate Prakash Rana by 7304 votes. Indu Goswami, Palampur and Kirpal Singh Parmar from Fatehpur couldn’t impress the electorates despite the PM’s rally in their favor.